When I was a kid, I used to shut myself in my bedroom and rearrange all of my furniture in strange ways just for a fresh feel in my personal space. My parents had no idea how I managed to drag my four-poster bed and cedar chest around my room, but bless them, they let me do it, and my obsession for space planning has only grown since then! These days I have the luxury of moving furniture around on paper before any manual labor becomes involved. Space planning is made easier with a simple floor plan to help you maximize your room’s full potential before any design decisions are made. I always create a floor plan and arrange a space on paper before buying furniture to fill it. And because of my planning, I’ve never been disappointed by how things fit into our home. You can easily create a floor plan for your home too without ever setting foot in design school and without any special computer software. 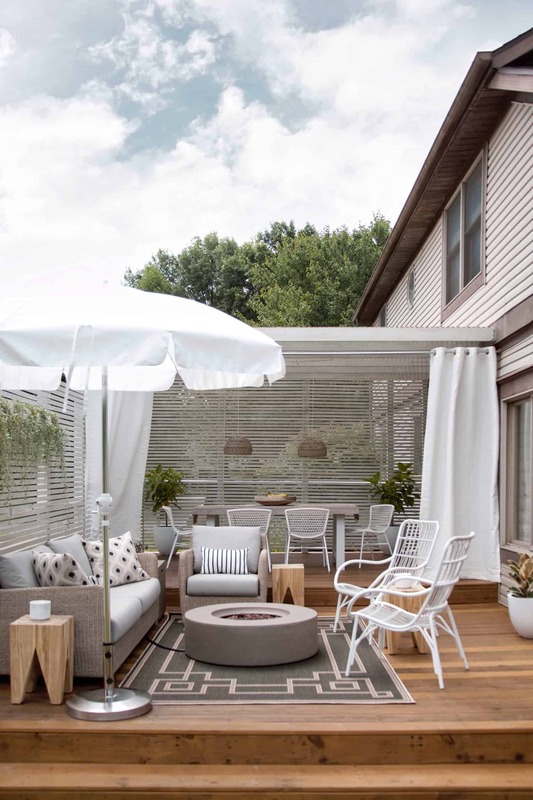 Check out how simple it is to plan your space! The first step to creating a floor plan is to measure your space. It’s helpful to have someone assist with holding the tape measure across long expanses to get accurate measurements. I usually roughly draw out the space, including doorways and fenestration, before taking the actual measurements. Then, as I measure, I jot down the feet and inches on my crudely drawn floor plan. Transform your notes into a to-scale floor plan with the assistance of 1/4″ graph paper. (You can print out the graph paper I used here.) Traditionally, interior plans are drawn at quarter-inch scale, which means a quarter inch on paper is equal to one foot in real life. You can make a quarter-scale floor plan by using the boxes of the graph paper as your guide—no need for a t-square, triangle, or architect’s scale, and definitely no need for autoCAD here! Each box of the graph paper equals one foot in reality. So half of a box equals six inches and half of that is three inches. You get the idea! Count out the boxes according to your measurements, using the lines of the grid to draw your walls. Keep in mind that interior walls are usually about 5″ thick, so be sure to account for their thickness when creating your plan. After your floor plan is complete, you’re ready to fill your space with furniture or cabinetry! If you haven’t purchased furniture yet, use the measurements available in the product details from a catalog or website to draw to-scale versions of items you’re interested in. If you’re using furniture you already own, just take measurements and transfer them to the graph paper. After your furniture and fixtures have been drawn, carefully cut them out, making sure not to cut away the black outlines. This is where things get fun. It’s a bit like playing with paper dolls! Now that you have all of your furnishings and fixtures drawn to scale and cut out, you can arrange and rearrange them in your space. If things aren’t working out, you might decide that the furniture you were considering might not be right for your home. Or maybe the space you’re considering renting or buying isn’t right for your needs. Planning like this can be so helpful for lots of reasons! When arranging furniture, be sure to note spacing standards for major and minor pathways. – Major Pathways: Allow 30-48 inches for areas where it is common for two people to occupy the same pathway. – Minor Pathways: Allow 24-36 inches for areas where one person will be traveling, such as entries to a seating area. – Furniture Spacing: Allow no less than 18 inches between furnishings where passage is required, such as between a coffee table and a sofa. Less space is acceptable (and usually beneficial) where no passage is required, such as between a side table and chair. – Handicap Accessible Pathways: Allow at least 36 inches for spaces where wheelchairs must have access. 48″ is required for a space where a wheelchair must maneuver to make a u-turn. Once you’ve arranged things how you like, you might decide to create a presentation version of your floor plan just for fun, or maybe so you can decide on decorative details, like furniture colors and rug styles. To do this, lay a translucent paper (like marker paper) over your floor plan and trace around everything. For a presentation copy, you’ll probably want to use a ruler to draw straight lines, and a thick marker is nice for filling in the walls. If you’ve used marker paper for tracing your presentation plan, my favorite way to render interior drawings is with Prismacolor Markers. The best paper to use is Bienfang marker paper—just make sure you’re drawing on the correct side! It takes some practice to figure out blending techniques and such with markers, but the end result can be really, really nice. You can easily use colored pencils instead of markers, though the process will be more time consuming. I also really enjoy the look of watercolored floor plans but have never mastered the control it takes to watercolor a floor plan in quarter scale. These days I tend to use Photoshop for most of my work, as shown here, because it’s easy to correct mistakes, drop in textures, duplicate things, and change colors with the click of the mouse. Even when rendering digitally, though, I find that I try to replicate the look of markers. 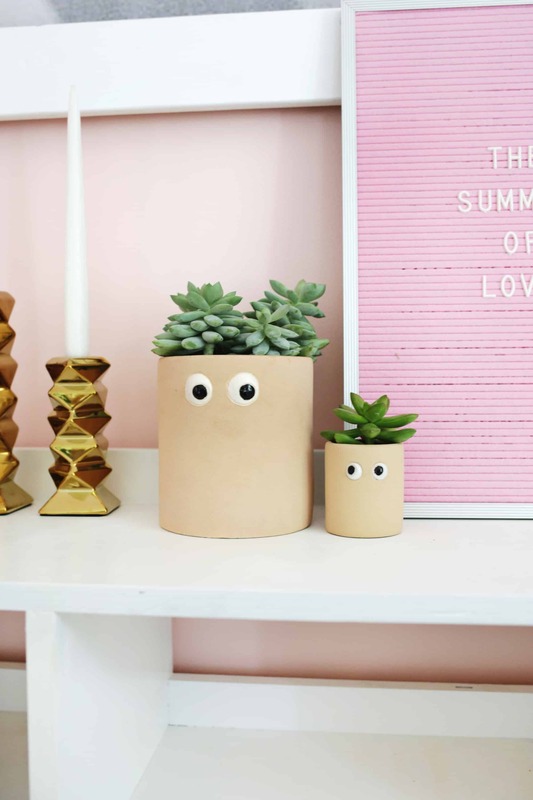 How To Add Some Fun To Your Decor! I’ve been reading this blog for a few years and this has to be the best post ever!! This is SO awesome!!! I’ve been trying to draw a floor plan of my hose and end up with a terrible mess! I can’t wait to try this! Thanks a lot for this professional help! Oh my gosh, the 4 poster bed and cedar chest move-around was my thing too. Still drives my husband nuts that I want a “fresh” space every so often. This is a great idea to use the graphing paper with exact measurements. Thank you! This is so amazing, and I’m gonna do it as soon as I get home. We are working on planning a nursery for our baby girl (due in February) and I do NOT want to purchase one piece of furniture without planning it out first. You’re amazing – thanks a mil. Seriously one of my favorite posts of ALL TIME. This is amazing! I’ve been doodling floor plans for my room albeit they’re more casual in from and just for fun. Still, I’d like to bring one of them to life someday and this will really come in handy! What a great idea! I live in a tiny studio in SF (350 square feet to be exact) and I’ve been itching to rearrange my furniture but I’ve been feeling stuck on how I could possibly do that. This is really helpful – thanks! 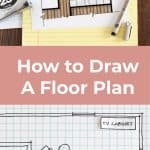 This is a lovely post and very helpful for the next time we plan or redecorating, painting, or moving. I did something very similar when helping my mother pick out furniture for her new apartment. I have to say, the most difficult part was putting pieces into prospective when shopping around in stores. I would forget to bring out floor plan and we accidentally purchased a couch that was WAAAY to big for the space. Luckily, we were able to return it! Phew! Anyways, I’ll never leave home with out one of theses again! Is it ok if I feature this article on a post? I think it will be very helpful to my readers! It’s a great idea…I made something similar when we built our house 7 years ago and kept my paper furniture models. I designed my house like a snail shell to fit our needs and furniture and allow large pathways to flow. I think it worked well as my furinture didn’t move since we’re in. It’s such a funny and easy way to figure a room. This is so helpful! Thank you Mandi! Ahh! When I was in Jr. High I made a floor plan like this on graph paper with moveable furniture. I even covered it in contact paper so it wouldn’t get ruined. I haven’t thought about it in years! Like you, I was constantly rearranging my space growing up (still am). Thanks for sharing! As a kid I used to rearrange my room at night… and spend hours drawing floor plans. This post made me smile! Such a good idea to make little furniture cut-outs. I took an interior design class WAY back and they never taught us to do that! I love this! I too moved around my furniture all the time by myself as a kid (mostly it was me with my back against the wall, pushing against the furniture with my feet). While I didn’t draw out floor plans for such things, my brother and I did draw out floor plans for our dream houses! These plans you created here with to scale furniture blow ours away. I might need to do this for the next place I move in to. That looks very professional, I’m amazed! I will keep that in mind when I rearrange my furniture! Funny, I used to do this all the time as a kid, but now that I’m older I go for the “let’s just move this over here and see how it looks approach”. Right now I’m considering swapping some heavy furniture between my downstairs and upstaris livingroom, so would probably be an idea to sketch it out first.. I’d rather not do all that moving up and down the stairs only to find out I need to put it all back the way it was again! This is super useful, thanks so much! I giggle because my 12 year old is constantly moving furniture about and rearranging her room. I’ve begun putting a 2 month limit on how long she has to wait before moving things again! She stacked 2 book shelves once with out any help (oiy!). I did this for theater classes growing up! It can feel like a lot of work but is so fun and so worth it! Great idea measuring and cutting “furniture” sizes. Puts in perspective. Such a great post! Will definitely be saving it. I was also wandering if you knew of any tutorials to learn how to accomplish this in Photoshop? Thanks so much!